Waterfield Dash Sleeve is my newest protection purchase for the Microsoft Surface Pro 3, which I take more and more with me on my commute. I have been a huge fan of the Waterfield Sleevecase over the past years, and mostly the cases outlives the device that it was intended for. The Waterfield Dash Sleeve is a new and lightweight sleeve that builds upon the refined and well thought-out design of the Waterfield Sleevecase. In this article I will share my thoughts after a few weeks of intensive use. 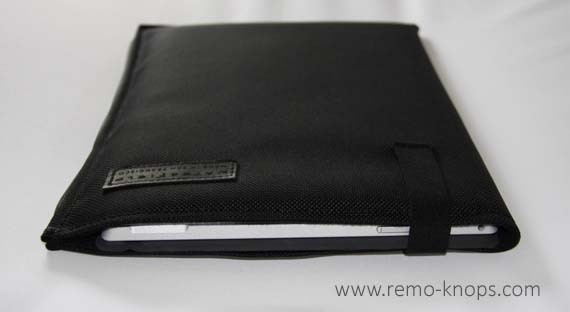 The exterior of the Waterfield Dash Sleeve for the Microsoft Surface Pro is made of ballistic nylon. Ballistic nylon is also used for bullet proof vests, so it’s extremely tough and durable, which basically summarizes my first impression when touching the Dash Sleeve surface. The Waterfield Dash Sleeve is a vertically oriented protective sleeve. 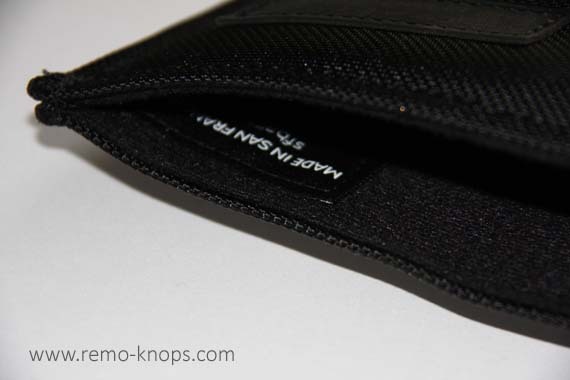 In the top left corner there is an elastic band that runs over the open part of the Waterfield Dash Sleeve. It keeps your Microsoft Surface Pro securely in place when in the Dash Sleeve, while it is easy to pull to the side to release your Surface Pro.In the top right corner of the Dash Sleeve front side you see a leather patch with the Waterfield logo. Black piping runs down the right side. When you order the Sash Sleeve in copper both the leather logo patch and the design liner have the copper color. 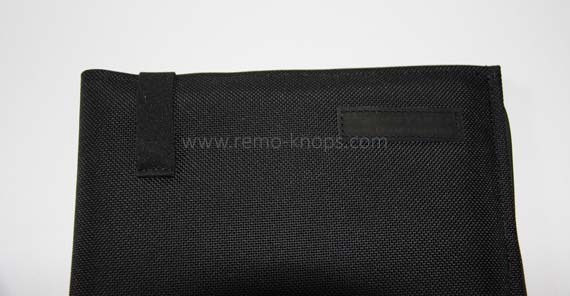 The backside of the Waterfield Dash Sleeve shows a large mesh pocket, which feels elastic but is a fine woven and strong material. The mesh pocket has a dedicated pocket inside the mesh for the Microsoft Surface pen. You can easily grab the pen in combination with for example PDF Annotator. In the upper right corner you see the elastic strap that keeps the Surface Pro in place. In theory you can put the Surface power adapter into the mesh pocket, but I personally prefer to put it in a Waterfield 7 x 10 gear pouch. However the Microsoft Arc Touch Mouse (Bluetooth version) is small enough to stash in the mesh pocket. When you fold open the Dash Sleeve you feel a soft plush inner surface and a good volume of impact resistant compression foam. That is where the real protection happens. The inside feels very similar to the Waterfield Sleevecase. The Waterfield Dash Sleeve for Microsoft Surface Pro or Microsoft Surface Book is a well-thought-out and high quality sleeve. It protects your expensive device really well, and based on my experience it will outlive your device in terms of durability. 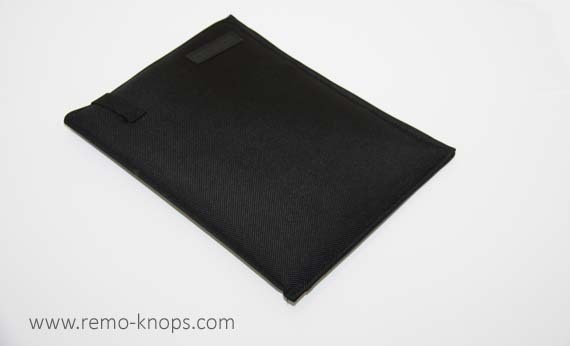 The price-point of Waterfield Dash Sleeve for Microsoft Surface Pro is $ 59,–. The used durable materials, the thickness of the compression foam and the excellent functional design justify this price-point of a Watefield Sleeve over a no-name sleeve from eBaY. If you want a flap to completely wrap your machine, have a sleeve in horizontal orientation, than simply customize a Waterfield Sleevecase. Please check out the article “Which WaterField Sleeve for your new MacBook Pro with Touch Bar and Touch ID?” where you can see the differences. Waterfield has also thought about the Apple user-base with a Dash Sleeve for Macbooks and iPads. Simply put a high quality and expensive device from the Surface or Macbook-range deserves the best protection, style and function for everyday use. 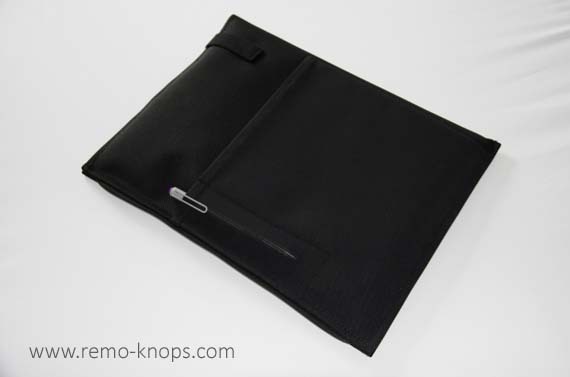 Hey!, I found this information for you: "Waterfield Dash Sleeve for Surface Pro". 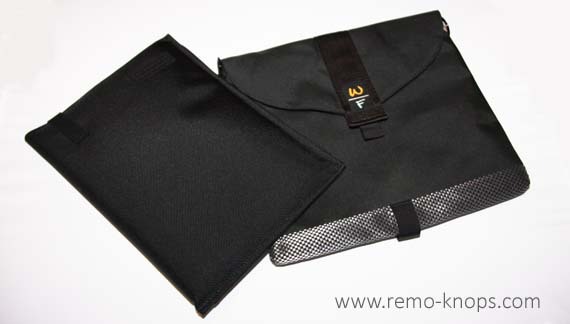 Here is the website link: https://www.remo-knops.com/5531/waterfield-dash-sleeve-surface-pro/. Thank you.